The Herald Design Forum 2017 will take place on Nov. 7 under the slogan “Design for Humanity” in the country’s capital. 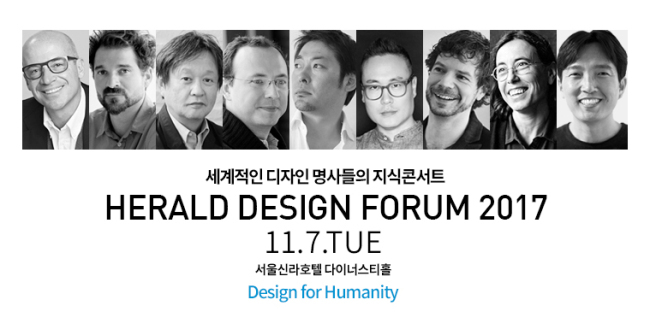 Join us as leading designers, architects and CEOs from around the world unfold their experiences and thoughts on design for humanity at the annual Herald Design Forum. Date: Nov. 7 (Tuesday) 9 a.m.-6 p.m.
Terao Gen, product designer and CEO of Balmuda Inc.